BMW announced its plans to race a stripped down version of the recently unveiled 2-series model and we couldn't be more excited to hear the news as cars like the iconic 2002 Turbo came to our minds! The BMW 235i is already a good basis to start with as it features a 3.0-liter turbocharged straight six which was pushed from 322 Hp to 333 Hp with this M235i race car. When it comes to the body, the M235i received extended front fenders and rear wheels arches as well as a full FIA compliant roll cage, a racing fuel tank and a limited slip diffenrential. Pricing starts at $80k (€59.5k). The car will compete at the VLN Endurance Championship and the Nürburgring 24 Hours on the Nürburgring-Nordschleife as a factory backed race car. Stay tuned for more pictures! More details in the press release after the jump. New top sports car for the "Green Hell": BMW Motorsport sends the BMW M235i Racing into action. Munich (DE), 20th November 2013. BMW Motorsport is expanding its range of cars within the BMW Sports Trophy Customer Racing programme: from 2014, privateer BMW teams and drivers will have the opportunity to line up at events with the new BMW M235i Racing. With a price of 59,500.00 Euros (excl. VAT) and impressive performance figures, the production-based coupé meets all the basic requirements of a successful entry-level racing car. The plan is initially for the car to be used in series and events such as the VLN Endurance Championship and the Nürburgring 24 Hours on the Nürburgring-Nordschleife (DE). Looking ahead, the BMW M235i Racing should also be successful on international stages for BMW Sports Trophy drivers. "The basis our engineers had to start with when developing the racing version of the BMW M235i Racing was exceptionally good," said BMW Motorsport Director Jens Marquardt. "The production models from the BMW M Performance Automobiles range are already incredibly sporty. Because of this, we did not have to make many modifications in order to get the BMW M235i Coupé up and running as a racing car. BMW Motorsport can look back on a long tradition of allowing ambitious teams and drivers an affordable way into motor racing – and of offering them an absolutely competitive car. That was the case recently with the BMW M3 GT4, and that is now being superseded with the BMW M235i Racing. While the BMW Z4 GT3 spearheads our range, the new car means we are now also excellently positioned for the coming years in the field of production-based racing cars." 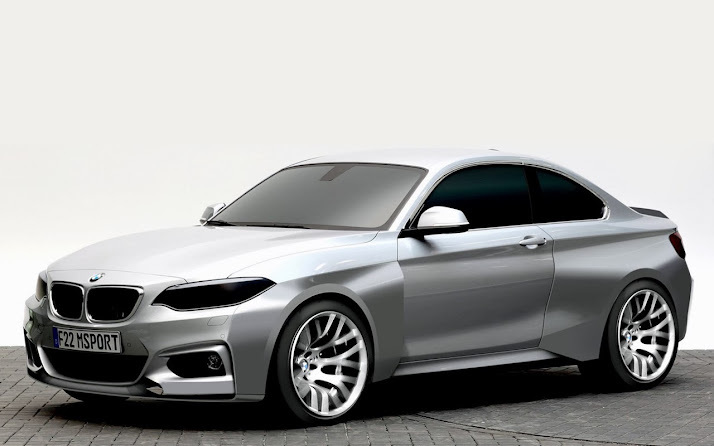 The motorsport genes are also easily recognisable in the production version of the BMW M235i Coupé, courtesy of the aerodynamically optimised body design. It is propelled by the most powerful petrol engine developed so far for a BMW M Performance Automobile: a six-cylinder in-line engine with M Performance TwinPower Turbo technology. With a capacity of 2,979ccm, the racing version is capable of generating 333hp (245kW). Motorsport-specific driving aids such as ABS, DSC and traction control ensure that the motorsport newcomers can also handle the BMW M235i Racing surely and safely. The car also comes with mechanical limited-slip differential, which is also available for the BMW M235i Coupé in the original BMW Parts range. The racing car is also fitted with features such as the FIA-certified safety cell and the modern safety tank. On top of this come components from the BMW M Performance Parts range, such as the rear and front spoilers, diffusor and carbon wing mirrors. Technical Data BMW M235i Racing.